As world hunger has been increasing, there has been a boost in urban and residential agriculture initiatives worldwide. Population trends reveal a mass migration from rural to urban centers, suggesting that many poor people are looking for work in metropolitan hotspots. As more and more farmers and rural people are moving to the cities, the distance between consumers and their food source has been increasing. Since there are less and less farmers worldwide, we have transitioned from food independence being the norm to food dependence. Consequently, many have been pushing for the rise of agriculture in urban areas as a method to combat poverty and to provide food independence models for an urban lifestyle. 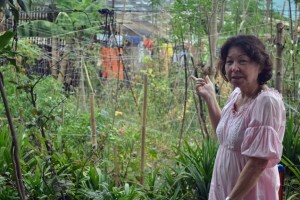 The media has grabbed hold of this growing interest and has documented several “green initiatives” in residential areas. Many articles have been published documenting programs around the world, but the actual effectiveness of these initiatives has been neglected in the media’s representation. Although these green initiatives are inherently well intentioned, many of these systems focus on inefficient and costly designs. We must work with the poor to help them feed themselves and thus empower them to eradicate their own hunger. This can be done through simple, affordable community projects that put the success in the hands of the hungry. Given that poor urban populations lack infrastructure and space; systems of agriculture must be designed to work within minimal space and soil fertility but also with limited start-up capital. Urban farming practices that are focused on soil regeneration and community development should be favored. As land is becoming infertile due to overwork and contamination, we must focus on restoring our lands’ fertility and nutrient abundance. Therefore solutions will be found with reviving barren and damaged land, and allocating it for social projects. Empowering the poor through providing food independence. While Roots of Health uses a vertical farming lease program, MAPULP is an educational diversified farm in the Heart of Quezon City. Roots of Health, is based on the island of Palawan in the Philippines and focuses primarily on women’s health. The area of Pulang Lupa was heavily mined before being deserted by the mining companies. Although currently inhabited, the soils contain many toxic mining byproducts and metals, especially mercury, leaving it unfit for the cultivation of crops. Roots of Health’s philosophy is that, healthy mothers make healthy children. Therefore, they provide the mothers and children with healthy and nutritious food three days a week. As this program has evolved, much thought has been given to long-term sustainability. With the launch of the Vertical Garden Lease Program, they can further enable the residents to grow their own healthy food. The Vertical Garden Lease Program leases the residents cylindrical containers designed to maximize yield and water efficiency with strategically placed holes on the sides for a nominal deposit. 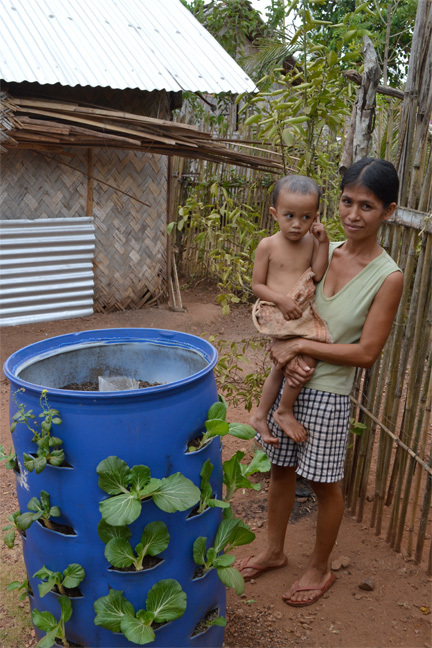 An irrigation tube in the middle of the cylinder or barrel maximizes water uptake, which is helpful for the residents who have little access to water. Roots of Health provides the soil medium which is composed of compost and carbonized rice hull to increase fertility. The carbonized rice hull has the ability to store nutrients over long periods of time while slowly releasing them to aid in the growth of vegetation. The women are consequently able to rent the vertical garden and set up their own micro-enterprise where they can begin to feed their families and market what is leftover themselves. As a result their dependency on donated food is minimized. 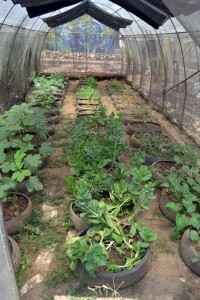 Everything from the containers, soil, seeds and training are provided by Roots of Health. Similar to Roots of Health, the MAPULP also started small, specifically through one woman’s vision, Rosario G. Mercader. Rosario’s vision was to educate, empower, and feed the poor through teaching ecological integrated urban farming techniques. 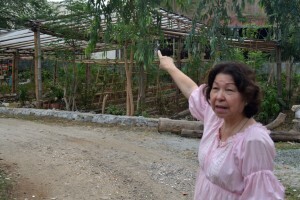 However, prior to starting the MAPULP, Rosario had no farming experience. While reading books, attending conferences, and visiting farms it was the work of Muhommed Yunus that inspired her the most. Rosario knew that a balance between livestock, aquaculture, and horticulture was needed to maximize all outputs and limit foreign inputs into her farm. 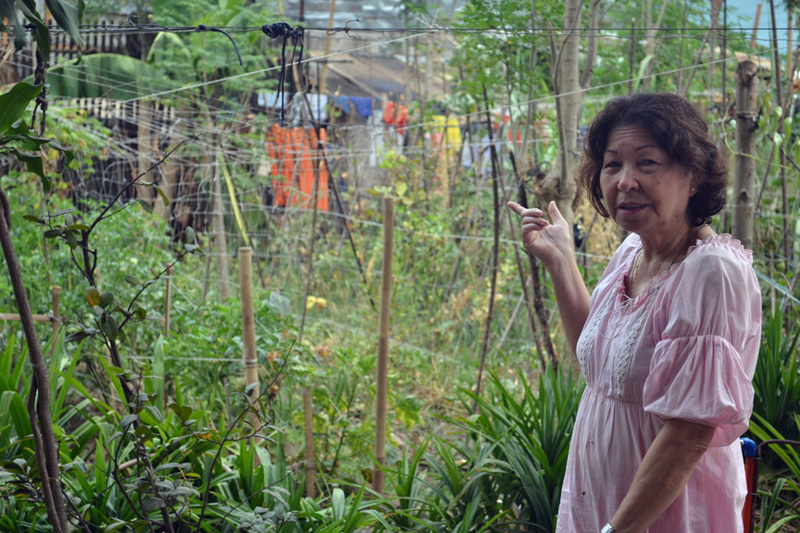 She converted a 3000 square meter plot into a diverse poly-cultural integrated agricultural ecosystem. The soil has consistently improved in the three years of planting, as compost has been a consistent factor in restoring humus, organic matter, and indigenous microorganisms. Through studying several farming techniques, especially Korean Natural Farming, Rosario raises organic vegetables, pork, fish, eggs and more. At MAPULP, no chemicals are used and the soils have been drastically improved through the introduction of composting and microbes. Her soils are rich and her crops are bountiful, and there is little evidence of insect damage on her property. 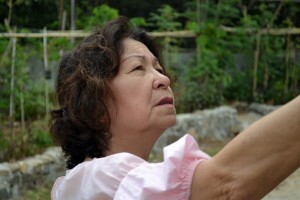 Throughout the farm, Rosario has applied many different farming techniques with no strict philosophy except for the exclusion of all chemical fertilizers, herbicides and pesticides. Seeds are saved, pollinators are working and her yields are abundant. Best of all, however, is that Rosario has created a model not only for integrated urban agriculture, but also for skill training and education for the poor. Rosario has selected 40 local families through a screening process which requires that the families chosen have lived in the vicinity for over 2 years and have an income bracket of lower than 2,000 pesos a month. It is also important to Rosario that families demonstrate a concern for family and environmental needs. The forty families chosen are required to work a total of 36 hours a month. The shares of food are divided by a percentage formula established by the stakeholders. About half is shared by the families while the rest is sold through MALPULP. MALPULP’s shares are then used for seed, and infrastructure development. Rosario’s dream has come to fruition and the farm is an excellent representation of urban integrative farming. I have yet to see a system that works with such a diverse selection of food commodities cultivated successfully in an urban setting. 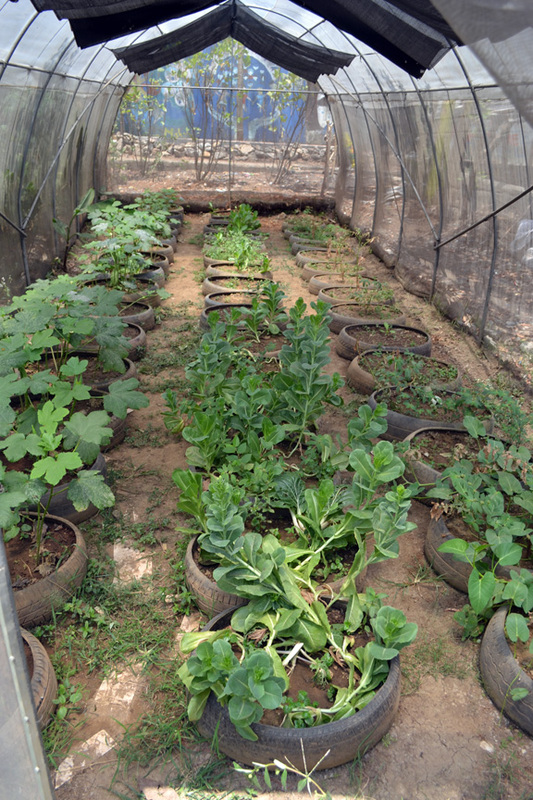 Best of all, families are being trained in organic farming and have the skill set to start their own urban farms. The success of Rosario is inspiring, and I can only hope that more follow in the footsteps of this enthusiastic woman.  It is important to recognize that many “green” agricultural systems are flawed for the same reasons as our conventional farming practices, energy dependence and a heavy input reliance. High energy consumption is required to fabricate commercial fertilizers and to heat intricate aquaponics systems outside of the tropics. Vertical farming buildings as well as “green” hydroponics systems require a perennial application of inputs. As fuel costs are rising, we should stray away from our reliance on fossil fuels for the production of foodstuffs. Instead of using sterilized indoor farms, microbes and compost should be facilitated in restoring vitality and life back to the earth. The future of agriculture not only relies on microbial introduction but also the cultivating of living species like dung beetles, worms, black soldier flies, and predatory insects like ladybugs. Diversified farming systems require an abundance of plants, bacteria, and insects. As the private sector and intellectual property rights dictate agricultural research, it is the NGO’s responsibility to provide education to the poor that empowers them rather than binds them with the dependency of costly agricultural products. Research and outreach programs have been designed to facilitate a return to investment, usually at the hands of transnational agriculture corporations. As for rice, the staple for a majority of the world, the future lies in incorporating techniques for cultivation that require less water, less seed, and less fertilizer. Quite the opposite of Monsanto’s genetically modified “golden rice”. Though where do you start? 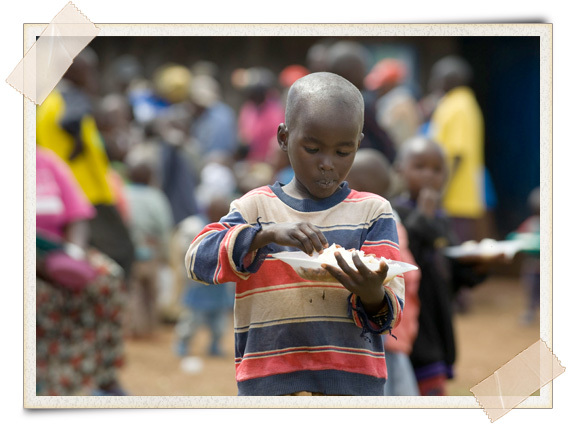 How can we cut back on world hunger, and actively make a difference. We need to do more than facilitate another soup kitchen? Remember, if you give a man a fish you feed him for a day, but if you teach a man to fish you feed him for a lifetime, and with Rosario’s and Roots of Health’s successes, I believe that the key to eradicating poverty is in incorporating the destitute into these charitable programs. The poor must be connected physically, emotionally, and financially, to motivate them to drive the program’s success. Regenerative agriculture is a great model for building this bridge and it is with it that we can return food independence to the poor as well as purpose and well being. We must train the poor, urban dwellers to start somewhere, to start small and work hard for their own food independence. Very nice essay! Thank you for jolting us to wakefulness that there is so much that can be done in the urban zone to help the poor and needy. Good job! You brought up some excellent points here. While there are many different organizations, movements and initiatives working toward transitioning to more sensible and resilient food systems, the impoverished are frequently relegated to charity status. They are the most vulnerable to fluctuations in food quality, availability and cost, and have a lot to either gain or lose. It’s inspiring to see programs that bring the urban poor in as stakeholders and partners in change.